Jennifer Clark: Populism in Europe is thriving. The West should prepare itself for a new normal. Jennifer Clark Populism in Europe is thriving. The West should prepare itself for a new normal. The speed and the disruption of globalization has resulted in a new post-Cold War political context. Is populism Europe’s new normal? Just days ahead of the Italian elections on March 4, Giorgia Meloni, the leader of Italy’s post-fascist Fratelli d’Italia party, took her campaign to Budapest, where she posed for a selfie with Hungary’s right-wing Prime Minister Viktor Orban on the banks of the Danube River. Their one hour meeting touched on all the hot-button issues that have fuelled a wave of populist and anti-immigrant sentiment across Europe: uncontrolled migration, how to stop Islamization and border defense. Meloni also took the opportunity to signal her desire for Italy to join Hungary in the Visegrad Group of central European countries refusing to accept their quota of 160,000 refugees as agreed in a 2015 European Union accord. “We want to send a signal to the EU about our priorities,” Meloni said. The EU got the message. On Sunday, Italian voters delivered Europe its nightmare scenario: A core democracy has rejected the moderate parties that guaranteed post-World War II prosperity in favor of leaders promising to send migrants home and blow out Italy’s budget deficit on welfare spending for the jobless. Does this mean that the EU is dead? Not exactly. But it does indicate that populism in the West is thriving — and will likely continue to do so for some time. The populist Five Star Movement and the anti-immigrant League won nearly 50% of seats in parliament, although it’s still not clear whether either has the numbers to govern. Italy has now abandoned over 70 years of careful centrism and joined the club of countries where populism is growing: Germany, France, the UK, Poland, Hungary and the U.S. The fall of the Berlin Wall in 1989 and the onslaught of globalization created a new global landscape characterized by loss of national sovereignty, open borders, financial deregulation, the rise of China and jobs being displaced by outsourcing or technology. The speed and the disruption of these changes has resulted in a new post-Cold War political context dominated by euro skepticism, fear of immigrants and the anger of an insecure middle class. None of this is new. But Italy’s election is perhaps an inflection point between the old and new politics. We may be witnessing the moment when the previously unthinkable became the new normal. By odd coincidence, President Donald Trump’s former strategist Steve Bannon swung through Europe ahead of Italy’s vote on his way to a speaking engagement in Switzerland, acting as a sort of self-appointed roving world ambassador of populism. Bannon wants to see populist movements on both sides of the Atlantic join forces, he told Milan daily Corriere della Sera. “People have had enough, and want their sovereignty back. This Italian election is crucial for the global populist movement,” he said. Populism is now widespread in Europe even in countries previously thought to be somehow “immune” because of a strong liberal tradition (in the European sense). The defeat of populists Geert Wilders in the Netherlands and Marine Le Pen in France last year’s elections was supposed to have turned the tide on euroskeptic, populist and anti-immigrant parties. But the German election in September 2017, in which the rightwing and anti–Muslim Alternative fur Deutschland (AfD) party won 13%, suggested the relief that followed France’s election may have been premature. Populism is now widespread in Europe even in countries previously thought to be somehow “immune” because of a strong liberal tradition (in the European sense). Around one fifth of European voters, or 55.8 million people, now pick left- or right-wing populist parties, according to a 2017 study by the European Policy Information Center. Meanwhile, Hungary, Poland and Greece (and Italy after March 4) are the countries where anti-establishment parties are strongest. “Observing these long-run trends, there are no signs that support for anti-establishment parties will decrease in the short run,” the European Policy Information Center noted. And tellingly, the motivations for populism vary depending on the country. Populism and anti-immigrant sentiment in Poland and Hungary stems from disappointment about how the transition from Communism turned out for them. First came the turbulent transition phase in the 1990s, when the standard of living plummeted. Cities like Warsaw and Budapest created pockets of wealth, while smaller cities and the countryside remained mired in poverty. If Europe’s euroskeptic populist parties continue to grow at this rate, at some point they will start to put serious pressure on the European Union. In Germany, the rise of AfD is largely seen as a response to Chancellor Angela Merkel’s decision to let some one million refugees into Germany in 2015 at the height of the migration crisis, the year that over 3,700 people died crossing the Mediterranean in the world’s most deadly migrant route. 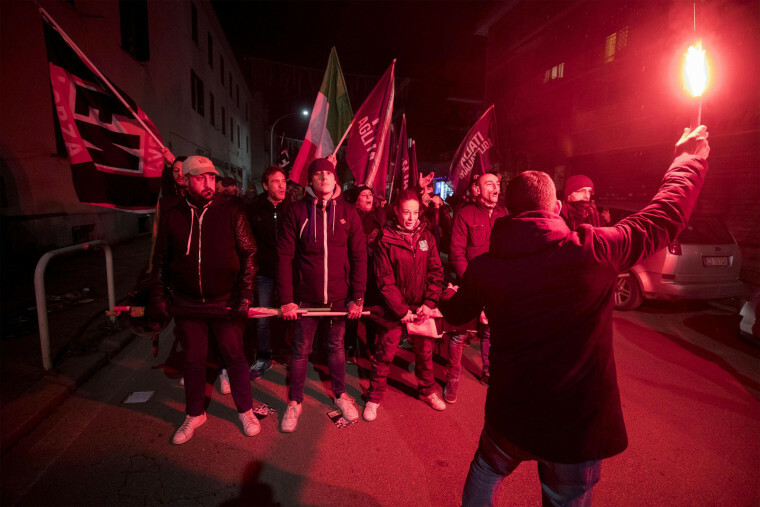 Anti-establishment parties in Italy have divided along geographic lines, with the Five Star Movement’s welfare promises attracting voters in the poor south, where over 10% of people are living in absolute poverty compared to 6% in the north. The center-right meanwhile has swept the wealthy north where voters are more concerned with safety and immigration. If Europe’s euroskeptic populist parties continue to grow at this rate, at some point they will start to put serious pressure on the European Union’s vision of unity and collective prosperity. Leaders like Salvini promise voters to “ignore or rip up” EU rules that don’t suit them, like keeping Italy’s deficit under 3% of GDP for members of the single currency. Italy is not leaving the EU or the euro any time soon. Brussels averted Greece’s departure from the eurozone in 2015 and is now dealing with Brexit. But a new populist government in Italy could set itself on a collision course with Brussels on immigration or public spending. Europe is adept at lurching from crisis to crisis. We’d better get used to it. Jennifer Clark is a freelance journalist based in Italy and author of "Fiat, Chrysler and the Power of a Dynasty." She has written for The Wall Street Journal, Reuters and Bloomberg.